Calling all Primary Care Providers! 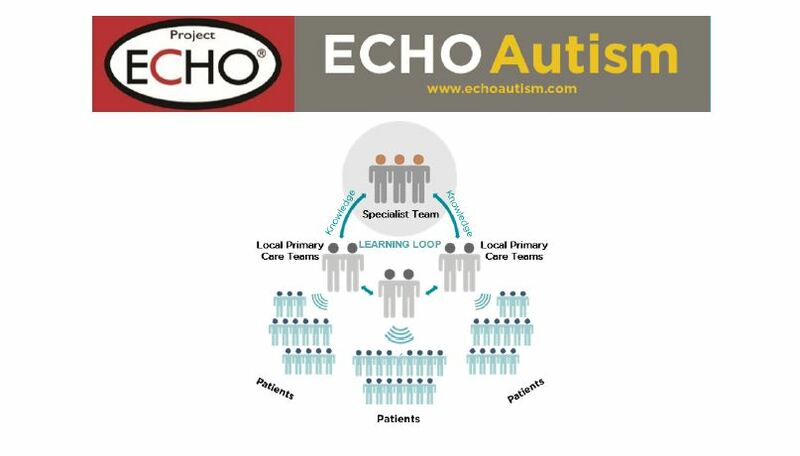 Next month, Dr. Gary Stobbe and colleagues will be launching a pilot program called “ECHO Autism: Transition to Adulthood.” The goal of this program is to help pediatric and adult practitioners care for their patients with autism spectrum disorder and ease the transition from pediatric to adult healthcare. This low-cost, high-impact intervention is accomplished by linking interdisciplinary specialist teams with primary care clinicians to discuss complex cases, receive mentorship, and share their expertise across a virtual network. Participation includes taking part in weekly, 1 hour learning sessions and completing online pre- and post- surveys. Free CME credits are available. The program begins October 9, 2018, so don’t hesitate! Please click here to view the flyer with more information. For questions, contact Robin Wilcox at wilcoxr@health.missouri.edu or at 573-884-2131.